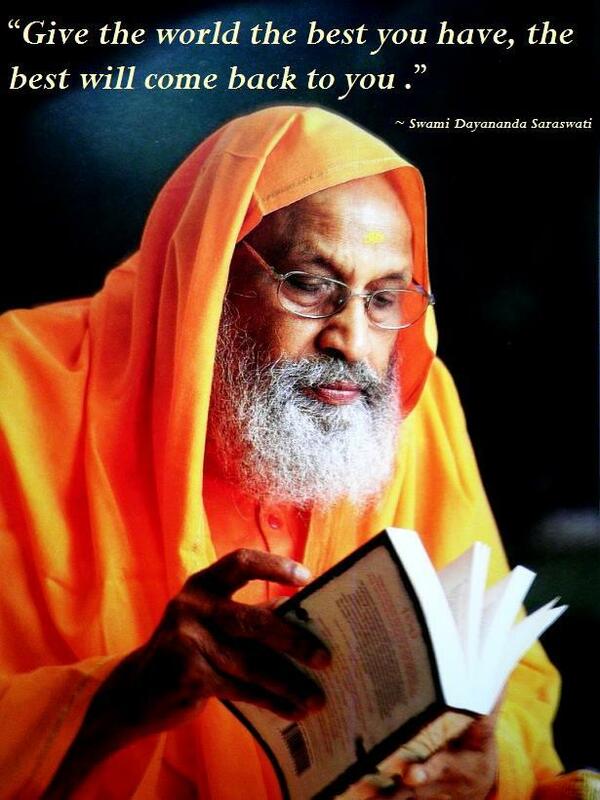 Timeless adoration to my guru, Pujya Swami Dayananda Saraswati (15 Aug 1930 – 23 Sep 2015), a brilliant link in the tradition between the original knowledge of reality and today. Under his tutelage many gifted teachers are reinvigorating the Vedanta teaching tradition throughout India and the world in many different languages. The following are the three main institutes founded under Pujya Swami Dayananda. These are living institutions dedicated to passing on the great Advaita Vedanta tradition in its pristine Sanskrit form through carefully crafted English. Many of Swamiji's students have established teaching centers in their areas throughout the world in their local languages. These locations can be discovered through the below websites.